Today is a good day for talking about inbound marketing. 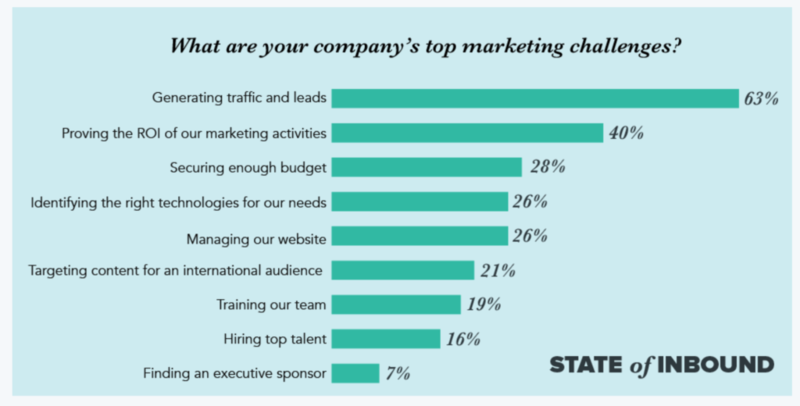 With only 22% of companies saying they’re satisfied with their conversion rates, Google being responsible for 94% of organic traffic and 90% of searchers saying they haven’t made up their minds about a brand before beginning a search, it’s no wonder that generating traffic and leads was respondents’ top marketing challenge in Hubspot’s latest State of Inbound survey. Inbound marketing is a big part of generating traffic and leads. That’s why it matters and it’s here to stay. Although we’ve talked about it before as a critical element of the PESO model, since we’ve been dissecting digital trends this quarter, it’s worth exploring how inbound marketing is changing; the trends and tools that are defining the new rules of inbound marketing in 2018. But first, a quick recap of inbound marketing as a profitable strategy for your business. Inbound marketing is the key to creating content that converts. This “new” way of advertising or marketing attracts prospects to you, then converts them into customers with relevant, engaging content that tells a story that connects with them in a meaningful way (rather than ‘selling’ to them with product benefits and features); then, after it closes them with a satisfying user experience, it continues to delight them with ongoing relevant content that they want to consume. While the “old” or traditional way of advertising by pushing out messages through targeted digital ads is still needed, inbound marketing is a must in today’s connected, digital age. The Internet made it that way. As social media platforms blossomed, they created a connected, informed and empowered consumer who has more freedom and opportunity to choose the brands he or she wants to do business with. The name of the game in advertising is no longer just creating powerful and persuasive ads that convey the benefits of a product or service so well that a consumer is motivated to give said product or service a shot. As with so many other of the marketing, advertising and PR practices we’ve considered as part of our Old Rules New Rules campaign this year, the old way of advertising isn’t obsolete; it has just been enhanced with newer methods, like inbound marketing, now made possible because of the technical revolution brought on by the advent of the Internet. As a Hubspot Certified Agency, OBI Creative practices inbound marketing. We believe in it for ourselves and our clients. Inbound marketing and the content you create within your inbound marketing strategy starts with your customer, not your brand. There’s an infinite amount of content on the Internet. You can try to capture lightning in a bottle with content that stands out from all the other needles in the haystack or, you can get to know your customers really, really well. That is the way inbound marketing has worked for the last 10+ years. Today, it’s an established practice and like all mature marketing methodologies, it’s evolving. As we consider the way marketers and brands are using inbound marketing in 2018, four trends are worth mentioning because they show how the practice is changing and what the new rules for inbound marketing are. Storytelling has been an essential element of blogging and copywriting for years now. 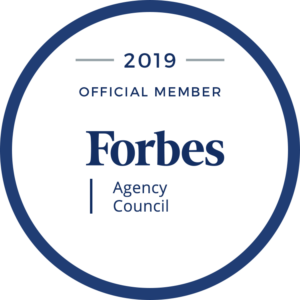 While storytelling isn’t going anywhere (it is the best way for brands to make lasting connections with consumers after all), inbound marketers are increasingly adding thought leadership to the mix. Today, it’s not enough to just tell a compelling story; everyone is doing that. Consumers are inundated with so much content now that compelling content that tells a story is just the baseline. They expect it. To stand out, you have to share your insight. You have to show that you are a thought leader even as you share your personal experience in your area of expertise. All of this is required to convert prospects into customers and customers into loyal advocates for your brand. A second trend complementing the effectiveness of inbound marketing in 2018 is the user of automated marketing platforms. Hubspot is a prime example. We use it here for ourselves and our clients because it makes inbound marketing so much easier. An integrated marketing automation platform lets you do SEO, email marketing, social media management and blog as well as monitor, track, report and design all in one place. From entering lead data to creating content for those leads to tracking and tweaking the performance of your marketing efforts, an integrated marketing automation platform is one development marketers should not only be thankful for but using to amplify the impact of their inbound marketing strategy. Blogging is one of the best ways to drive traffic to your site. That may be why 55% of marketers say blog creation is their top inbound marketing priority. Blogging is effective but it takes time and lots of high quality (read long and well-researched) blog posts going up frequently to be seen in Google search results and thus drive traffic to your site. Especially when you’re starting out, it can be difficult to get the kind of traffic you need to see measurable results from your content creation efforts. That is where guest blogging comes in. Not only is it a legitimate aspect of PR within the PESO model, but it is an excellent way to leverage the wider reach of better known, more highly trafficked and reputable sites, for your own brand. You build a relationship with a widely-read and well-respected site within your industry or niche. You offer to write about a topic you are knowledgeable about for their site. They get good, free content. You get traffic and more potential repeat readers from the exposure on their site. Hopefully, you can get a link back to your site as part of your byline or guest post. If not, you can at least get a mention of your brand or blog name, so that interested readers can visit your site and see what you have to offer. A modern-day PR hack, guest blogging has become a critical aspect of inbound marketing and is definitely worth considering as part of your content marketing strategy. We’ve talked about the importance of SEO before, so we won’t lay the groundwork all over again. Suffice it to say that in 2018, technical SEO simply can’t be ignored. There’s on page SEO, off page SEO and technical SEO. On and off page SEO are most commonly discussed in marketing circles; technical SEO is the most often overlooked, perhaps because it really does require technical or web development expertise to execute correctly. If you hired an expert to perform an SEO audit on your website, these are the kinds of things that report would address. All of these items impact your ability to show up in search results, which is the primary way new traffic is going to come to your site. In short, if you want to be found online, get your technical SEO in line. Don’t panic. This is a lot to take in. Keeping up with the new rules of inbound marketing as well as all the latest marketing trends is tough. Especially when your primary job is running your business. Trust our talented team of web experts to create, monitor, tweak and amplify content that converts for your brand.